Do you want to know the difference with frameless vs framed cabinets in Atlanta? Shopping for kitchen cabinets in Atlanta? With about 500,000 residents, Atlanta is the most populous city of Georgia, U.S. Most of the Atlanta is filled with architectural building, beautiful houses, and other historical buildings. With that being said, people of Atlanta are surely concerned about home improvement projects. And if you’re one them and reading this post, you are probably looking for kitchen cabinets to enhance your kitchen’s elegance. 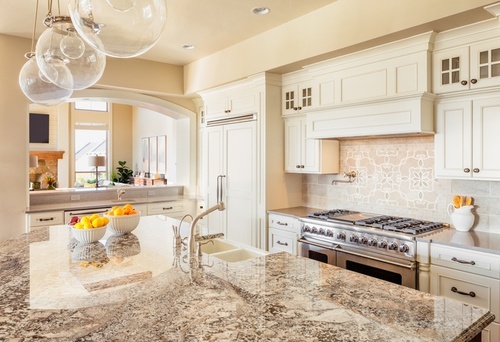 Choosing the right cabinets for your kitchen is crucial as they’re going to stay there for a lifetime. During your hunt for the best kitchen cabinets, you probably found out that there are two types of cabinets i.e. framed and frameless cabinets. Keep reading this post to learn more about Atlanta Frameless Cabinets Vs Framed Cabinets. Knowing the difference between frameless vs framed cabinets is important to choose the right choice for your kitchen. To help you make the right choice, here is a detailed post explaining the difference between frameless vs framed cabinets. Framed Cabinets, also referred to as American Style Cabinets, follow a structure of a box with 6 sides i.e. front, back, top, bottom, left, and right. Framed cabinets often have a wooden frame and cabinet doors either overlay or inset flush with the frame. Framed cabinets are further divided into 3 types i.e. inset, partial overlay, and full overlay. As the name suggests, inset styles have the entire frame exposed, the partial overlay covers some part of the frame, and full overlay covers the whole frame. Framed cabinets are easy to install and offer quick door adjustment. Skin panels are needed on both sides for installation. They are available in multiple materials, styles, sizes, and can also be custom built. Can be installed on uneven walls too. Less expensive than frameless cabinets. Frameless Cabinets, also referred to as Europe style cabinets are becoming more and more popular in America. They offer a unique design, modern look, and larger space than framed cabinets – they are also known as full access cabinetry. 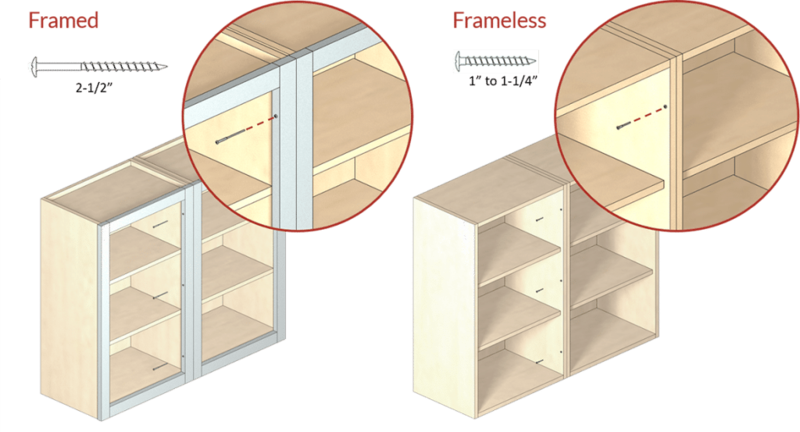 The real difference between frameless and framed cabinets is that frameless cabinets do not features frame face attached to the cabinet box. This gives them a flat drawer and door fronts, giving them a unique, sleek, modern yet simple aesthetic look to enhance your kitchen. Frameless cabinets offer faster installation than framed cabinets. They feature a unique yet modern style. Often have a larger capacity than framed cabinets and full storage is accessible. The cabinet sides are fixed in frameless cabinets. Available in less sizes, options, and styles. Overall, both frameless and framed cabinets come with their own set of pros and cons. A frameless cabinet range that works best for your neighbor may not serve the same deal to you. Thereby, make sure to consider the above findings in mind before making a purchase. In case of further questions, feel free to leave a reply or contact us. At Woodstone Cabinetry we are a factory direct cabinet company that specialized in RTA cabinets. We offer factory direct pricing that can save you up to 40% over big box stores. Request a Free Estimate for Kitchen Cabinets today via our contact form or give us a call for more information.